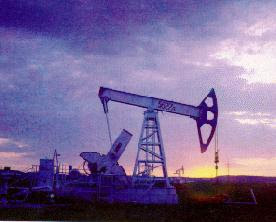 Political Spin Removal: Does it Really All Come Down to Oil? On the fourth anniversary of the war in Iraq, the president asked the American people for patience, implicitly acknowledging the polls, large anti-war protests around the country, and Democrats’ move to attach a pullout date to continued war funding. Are there any reasons to heed the president’s appeal? What would that even look like? Unconditional surrender of Osama and all Islamist extremists? Not in our lifetimes. How about political and ethnic reconciliation in Iraq, leading to peace? If there were any signs of that, we wouldn’t need a troop surge, would we? Can you force people to reconcile by banging their heads together? Can we kill all, or most of the insurgents, regardless of their political and religious affiliations? That’s not likely, especially since the borders of the country are not sealed. There is simply no end in sight to the war in Iraq. So why shouldn’t we pull out the troops, in an orderly way, by a certain date? Because, according to Bush and most republicans, that would amount to failure. FAILURE! White house spokesman Tony Snow said about a date-certain pullout, "We think that is an approach that is conducive to defeat. It is a recipe for failure, not for victory." FAILURE! DEFEAT! If there is no definition of winning, there is also no definition of defeat. The White House uses those words for emotional value. By threatening failure, emotion will trump reason, they hope. But the plain fact is, we made a mistake and we should recognize it. That would be the mature thing to do. It is immoral to perpetuate the hell of war for the sole purpose of preserving egocentric pride. Snow also said that date-certain withdrawal would "… forfeit the sacrifice that our troops have made in the field." That is a well-documented error in reasoning called the “sunk cost fallacy.” It is very common in business and government. “We can’t cancel the project because we have already spent a lot of money on it.” It’s wrong thinking. What? Everyone knows the issue is to attach a date-certain pullout of troops to the funding bill. That is hardly a special interest. To characterize it as such shows the president’s utter contempt for the intelligence of the voters. We must hope his contempt is undeserved. Both Bush and John McCain have repeatedly warned of “devastating consequences” if the US were to pull out its troops any time soon. What are these consequences? According to the Washington Post (Bush warns U.S. security will suffer if troops withdraw from Iraq. William Branigin, 3/19/07; 1:02 pm, Washingtonpost.com), when asked, the president said "a contagion of violence could spill out across the entire country." Like that hasn’t already happened? What is he talking about? "The terrorists could emerge from the chaos with a safe haven in Iraq to replace the one they had in Afghanistan, which they used to plan the attacks of September 11, 2001. For the safety of the American people, we cannot allow this to happen." So the threat is that “the terrorists” will have a place in Iraq to plan? What does the presence of U.S. troops in Iraq have to do with international terrorism anyway? Have terrorist attacks around the world ceased since we have been in Iraq? No. International terrorism and the war in Iraq are completely different problems. The sooner we get out of Iraq, the sooner we can address the real problems of terrorism. What is more likely is that after the U.S. pulls out, the civil war will intensify as various proxies for Saudi Arabia, Iran, and Syria, flood the Iraqi battlefield more boldly. What is America’s interest in that? Access to oil? Does it really all come down to oil? That is pathetic. But it is the only answer that makes sense. America might emerge a stronger country if it were forced to go cold turkey from its oil addiction. Maybe mid-east regional conflict would be an opportunity.